This week, the 9:30 Club is hosting the 2016 Girls Rock! 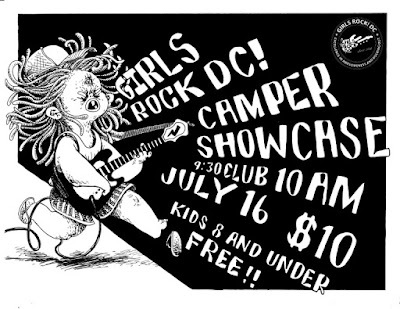 DC Showcase, an exhibition of bands formed during a weeklong musical summer camp for DC-area girls aged 8 to 18. Girls Rock! DC is an amazing opportunity for these young’ns, where an all-volunteer collective of musicians and teachers instructs the girls on rock instruments and on aspects of the music industry including merchandising and promotion. The girls have a week to collaborate on an original song or DJ set, and the showcase provides them the opportunity to kick out the jams for a gaggle of adoring fans, including yours truly. Learning about this camp inspired me to feature three female artists who rocked my world in this edition of Throwback Thursday Videos (#TBTV). Picture a 15-year-old me, en route to NYC for an art club excursion on a charter bus dank with the smell of caustic lemon-scented cleaner and old sweat - the quintessential charter bus bouquet. 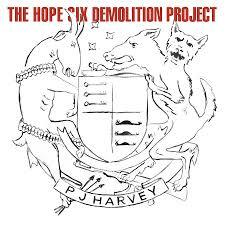 I was listening to a mix-CD given to me by an acquaintance, and my eyes opened as wide as they could when I heard “Rid of Me” by PJ Harvey. I recall furtively glancing at nearby seats out of concern others would see the realization exploding in my head, or overhear the breathy, suggestive lyrics. To me, this was the clearest demonstration that openly expressed feminine anger and raw sexuality was not only acceptable – but it was also downright hot. The graininess of this live performance video captures the energy of that moment perfectly, as Harvey strums three chords and captivates an entire arena. Nearly two decades later Harvey is still slaying critics and audiences alike; her newest release, the partly DC inspired The Hope Six Demolition Project, is out now via Vagrant Records. I didn’t encounter the magical works of Laura Veirs until 2005, when she released Year of Meteors. When I heard a live version of “Secret Someones” coming across the airwaves of my local public radio station while driving home from work one night, I pulled over on the side of the road to desperately jot down some lyrics so I could Google them later. Life was nasty and brutish in the pre-Shazam era. Since then, I’ve only fallen more in love with this singer/songwriter, and the video for the song “July Flame” is a prime example of the intimacy and precision characteristic of her work. This video took over two weeks to shoot, and features more than 1,800 individual images including the peaches that she cleverly uses to also depict flames and fireworks. 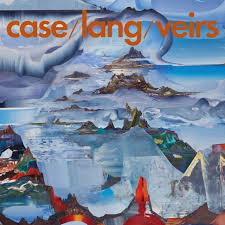 You can catch Veirs at the Lincoln Theatre July 27 and 28, playing as part of the supergroup case/lang/veirs, in support of their self-titled new album (ANTI- Records). Lastly, I offer the soul-baring “Change the Sheets” from Canadian Kathleen Edwards’ stunning 2011 album Voyageur. I will spare you another lengthy reminiscence and simply say that this song’s expansive and mysterious feel, partnered with its theme of wiping the slate clean – even if you have no clue what’s getting chalked on next – made it my anthem for nearly a year. It was basically what got me through the glorious time period my life dubbed The Shitnami of 2013-2014. Edwards isn’t performing south of the border anytime soon, and as of 2014 has been taking a break from music to run her own coffee house in Ottawa, but you can bet we will keep you posted at the first sign of anything new from her.